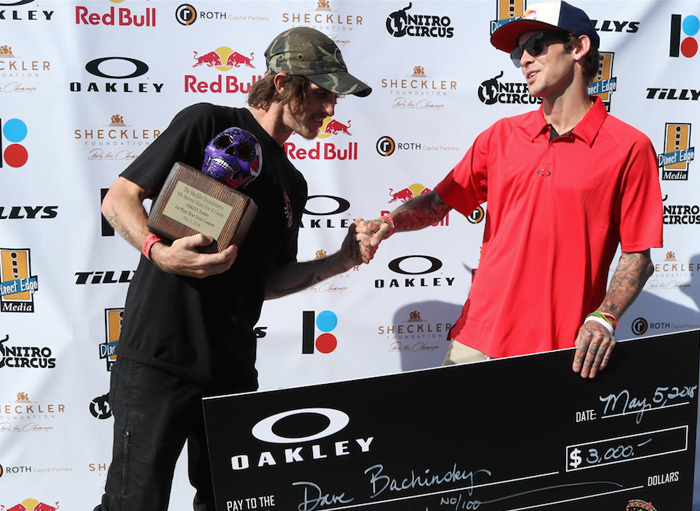 This past weekend, the Sheckler Foundation’s 9th Annual Skate For A Cause presented by Oakley, raised awareness and funds for the “Be the Change” initiative to support injured action sports athletes and children in need. 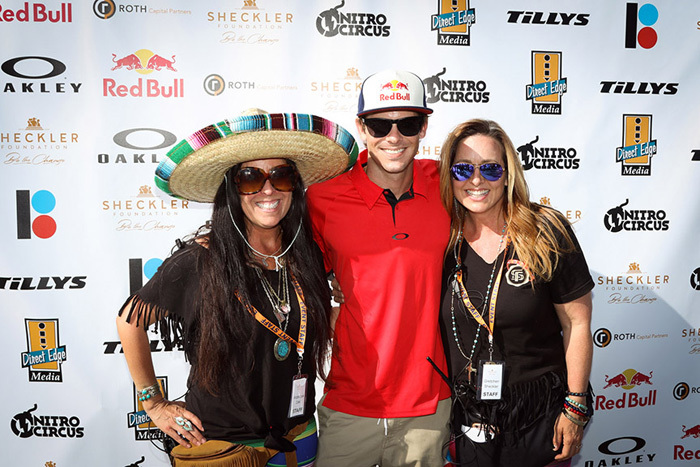 Professsional skateboarders, sponsors, volunteers, non-profit organizations and loyal fans gathered at the etnies Skatepark of Lake Forest to support Ryan Sheckler and the Sheckler Foundation. This year, the family-friendly event featured its first-ever Wheelchair Motocross (MCMX) and Adaptive Skate contests and topped off the awards ceremony by honoring Team Lilly Foundation with a $10,000 grant. 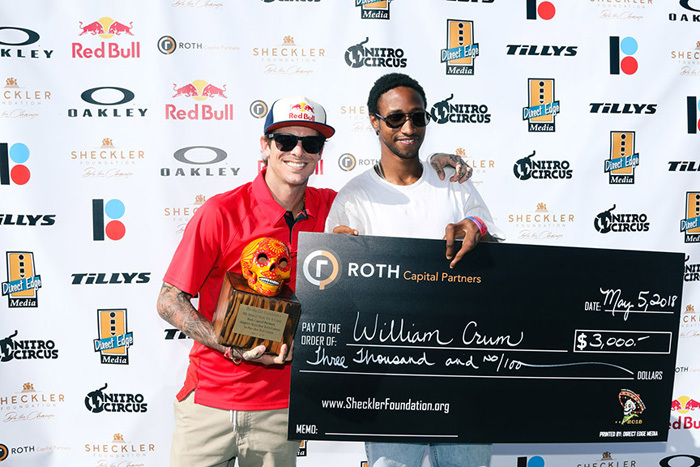 Previous “Be the Change” recipients: Traveling Stories, Tilly’s Life Center (TLC), Passport 2 Freedom and Skate MD, along with current recipient Team Lilly Foundation, joined Ryan and the Sheckler Foundation to raise money and awareness of their life changing program. (Pictured above, left-to-right): Angelique Zaki, Ryan Sheckler and Gretchen Sheckler-Hachee would like to thank the generous supporters, loyal sponsors, skateboarders, volunteers and the individuals that came to support the 9th Annual Skate For A Cause. For additional info on the Sheckler Foundation and its 9th Annual Skate For A Cause, follow @SheckFoundation on Twitter and stay connected with the foundation on Instagram, Facebook and LinkedIn.